How to fix “Video driver crashed and was reset” error on ARK: Survival Evolved? 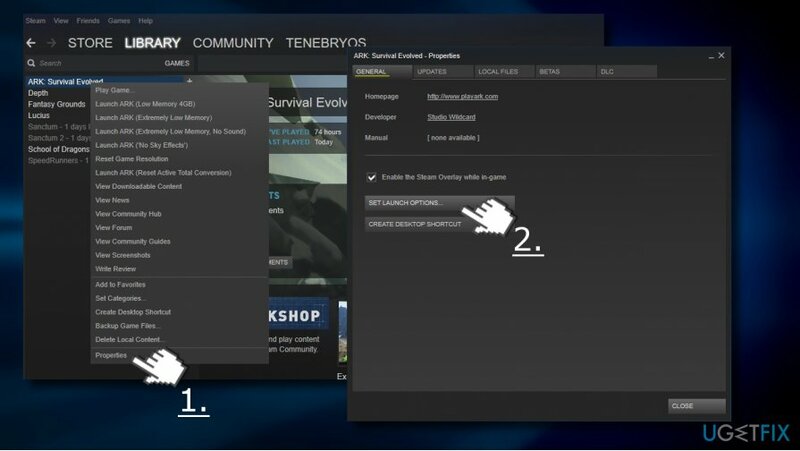 Home »	Fix » How to fix “Video driver crashed and was reset” error on ARK: Survival Evolved? Issue: How to fix “Video driver crashed and was reset” error on ARK: Survival Evolved? Hello, all. I’m a devoted gamer of ARK: Survival Evolved. However, for the last few weeks I have an irritating problem, which I don’t know how to solve. When I try to play a game, I get the following error message: “Video driver crashed and was reset! Make sure your video drivers are up to date.” It seems that I’m not the only gamer having this problem. 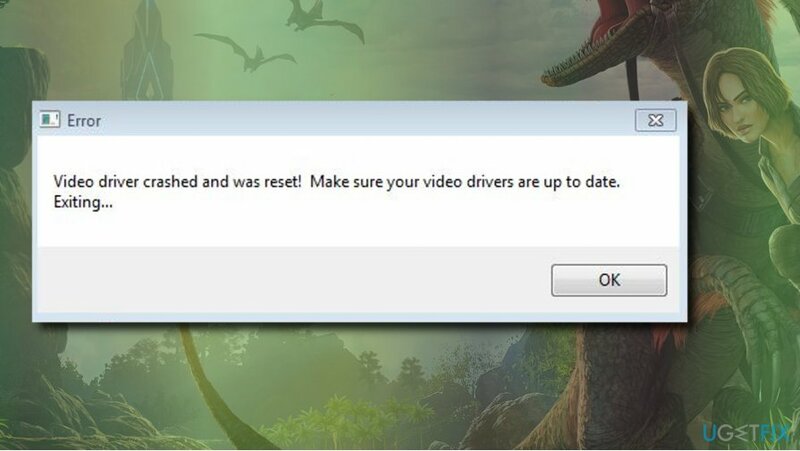 “Video driver crashed and was reset” is an error message encountered by many gamers of the ARK: Survival Evolved game. It’s an action-adventure survival video game, which has been developed in August 2017 by Studio Wildcard in collaboration with Instinct Games, Efecto Studios, and Virtual Basement. The game is compatible with PlayStation 4, Xbox One, Microsoft Windows, OS X and Linux. Although hundreds of thousands of people are interested in this game and opt for trying it, it costs a considerable amount of money. Moreover, the game is extremely demanding and requiring High settings. Therefore, before buying it, make sure that the specificities of your device are good enough to run ARK epic games. If you have been playing the game for some time and received the “Video driver crashed and was reset” error during the game play, it might be that the video driver got corrupt or out-of-date, so you should update it in the first place. Since the error message itself indicates the culprit of the error – video driver – it goes without saying that updating display drivers could be the right solution. 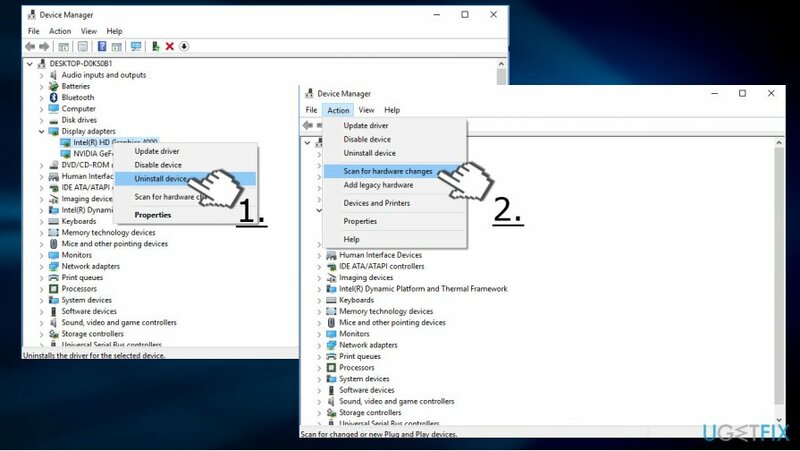 Expand Display Adapters section and click Intel HD Graphics driver. Select Update Driver. Do the same with the NVIDIA GeForce driver. After that, reboot the system. The problem is that updating display drivers did not help for most of the ARK gamers. The next step in resolving this problem would be to re-install graphics driver. 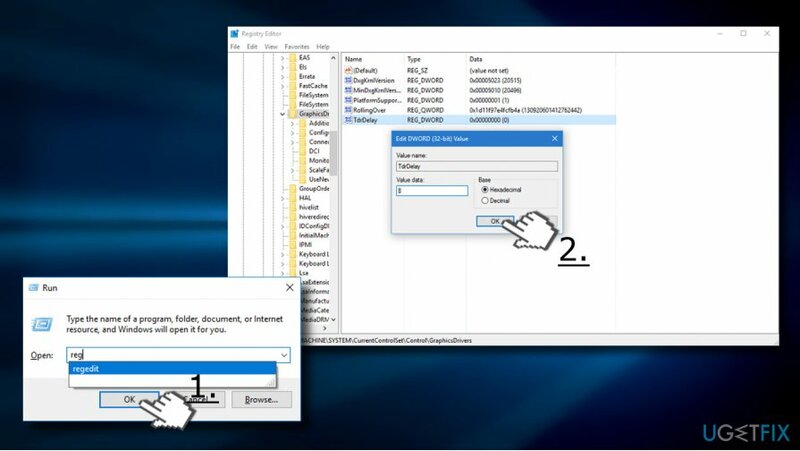 Expand Display Adapters section and click on the display driver. Select Uninstall and follow the uninstall wizard. Reboot is needed after uninstalling. When the system fully boots up, open Device Manager as explained above. 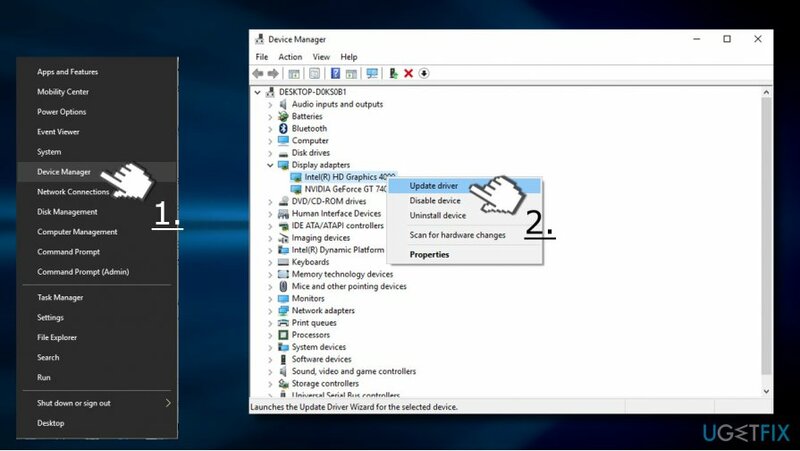 Click on Actions button and select Scan for hardware changes button. Now the system should automatically detect the missing driver. If the scan failed, you can install the missing driver manually from the manufacturer's website. Launch Steam and open Library. Right-click on the Ark: Survival Evolved and select Properties. Click on Set launch options and enter the -USEALLAVAILABLECORES -sm4 -d3d10 -nomansky -lowmemory –novsync command in the text box. Click OK and close the Properties window. Now try to play the game and check if that helped. Navigate to the HKEY_LOCAL_MACHINE\\SYSTEM\\CurrentControlSet\\Control\\GraphicsDrivers directory on the left. Find the TdrDelay DWORD. If it’s not available, right-click on an empty space and select New -> DWORD. Double-click on TdrDelay DWORD and change its value from 2 to 8. ^ Kelly Packard. ARK: Survival Evolved Review. TrueAchievements. Gaming news, latest producst, reviews, and discussions. ^ Greg Coomer. Building the Best PC for ARK: Survival Evolved. Logical Increments. Solutions for PC building problems. ^ How do I install the latest video drivers on my computer?. Computer Hope. Get free technical assitance and learn more about computers.